Post this time will discuss about CCleaner v2.28 | Free Download. 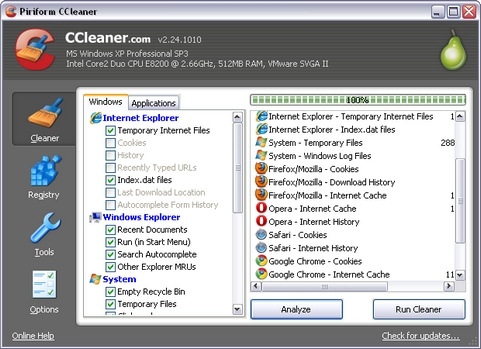 CCleaner (Crap Cleaner) is a freeware system optimisation tool. That removes unused and temporary files from your system - allowing it to run faster, more efficiently and giving you more hard disk space. The best part is that it's fast! (normally taking less that a second to run) and Free. I clean my files twice a month using tool provided by window xp.